Jen Beaudet Art: A Quick Sale! 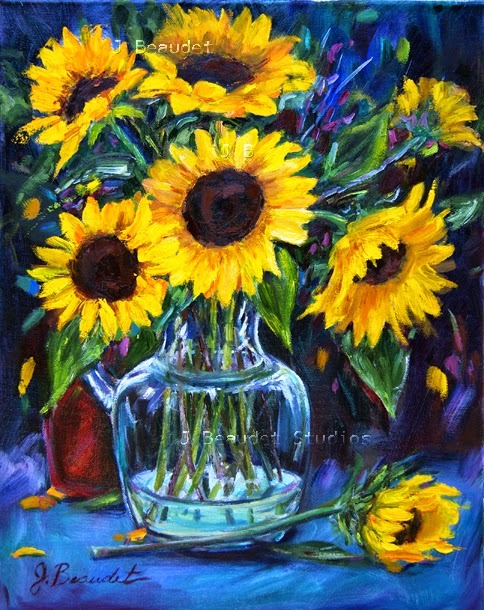 This original sunflower oil painting is available now, today only, for 25% off the original price! Hurry before that piece you had your eye on is snatched up! :) Happy shopping! The lucky buyer will have such a beautiful painting on their walls! Thank you Enzie! That's really sweet of you to say. I did make one sale on my 2 day sale!